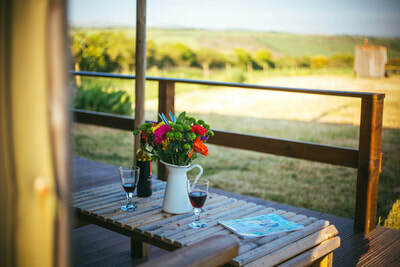 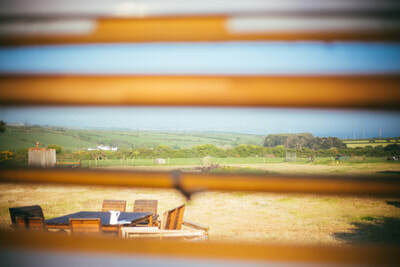 Tucked away in the corner of the field, it has a clear view of the sand pit, chicken coop and St Michaels Mount with the Lizard Point in the distance. 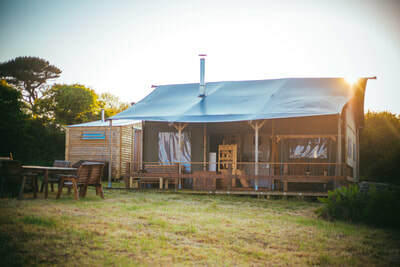 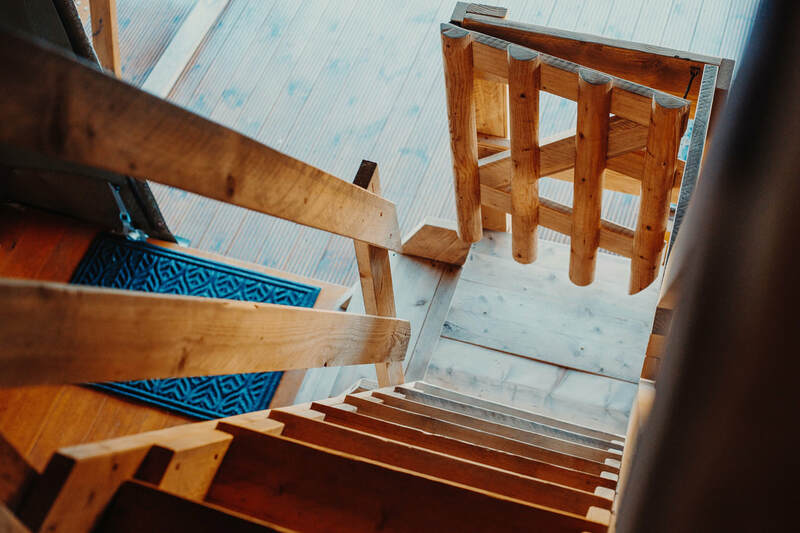 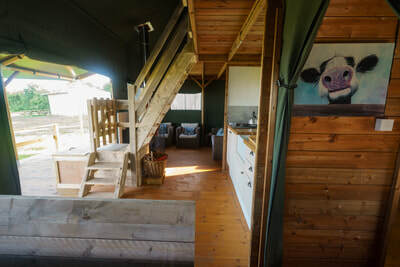 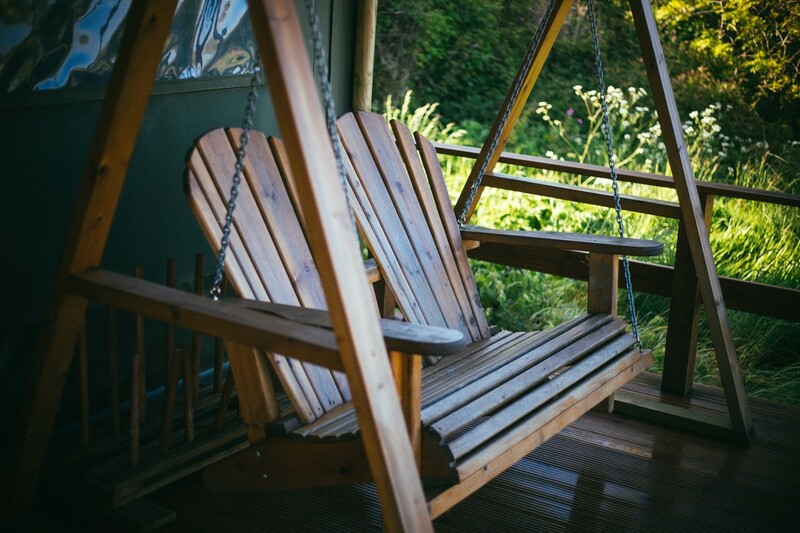 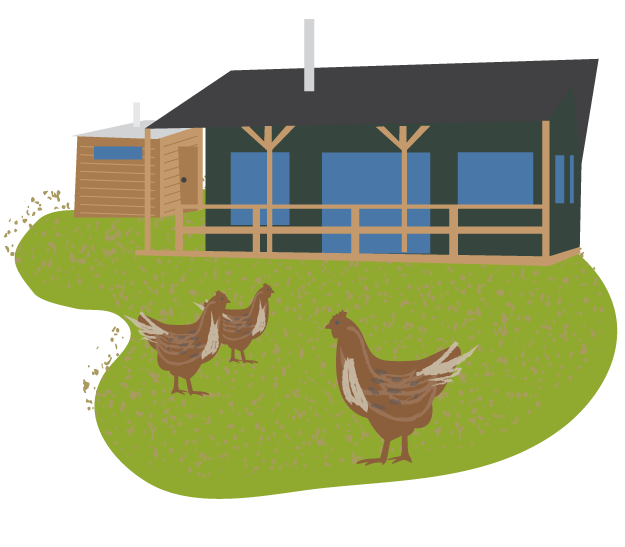 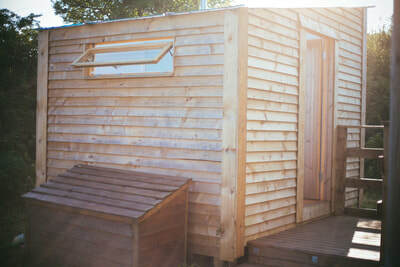 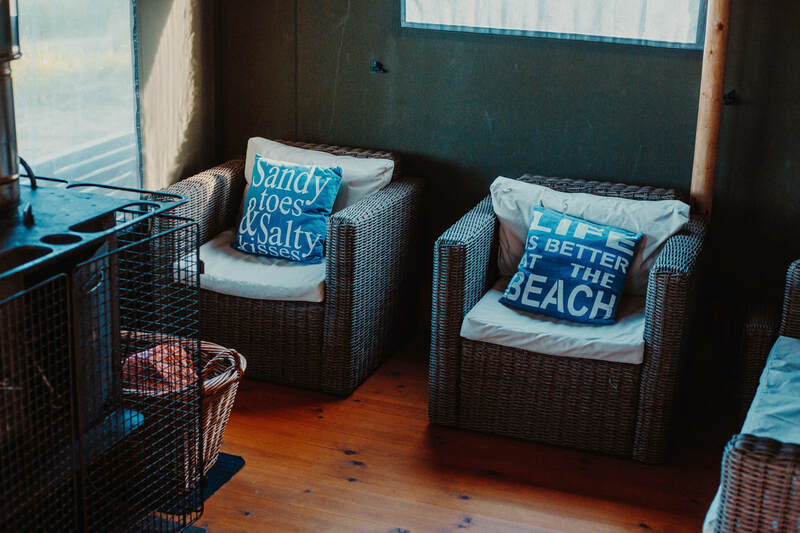 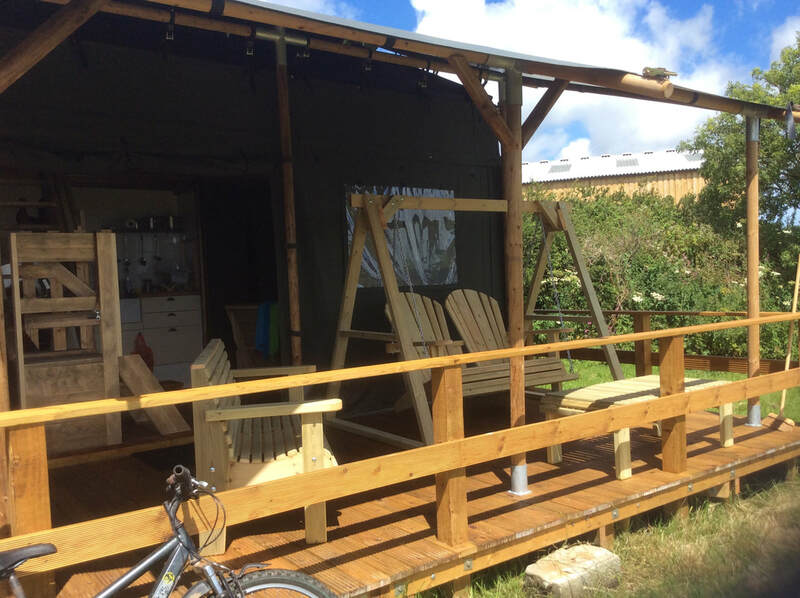 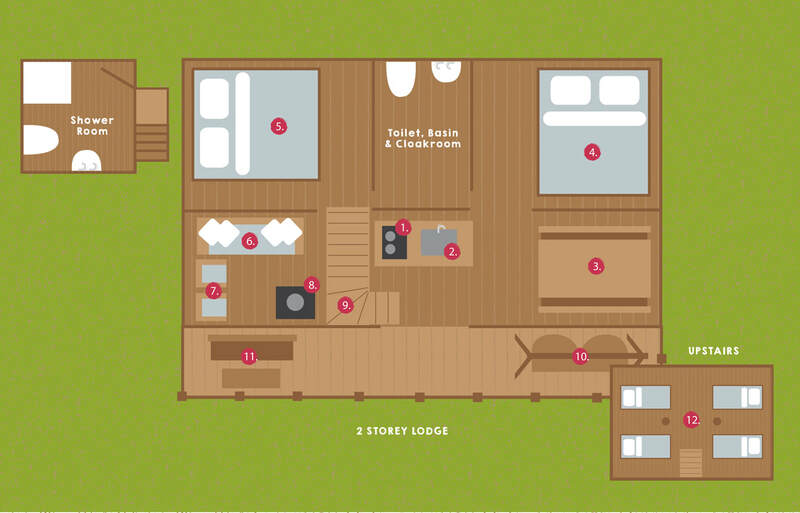 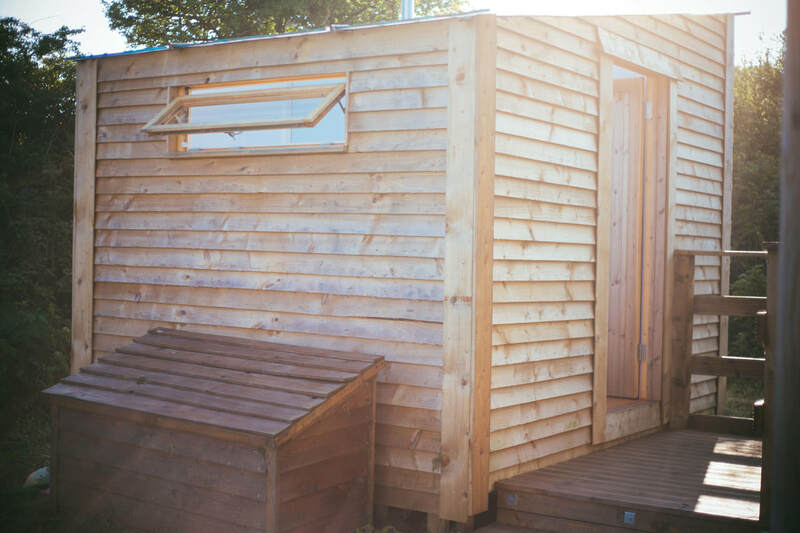 This two storey canvas lodge its very own private shower and hot tub (addition charge applies). 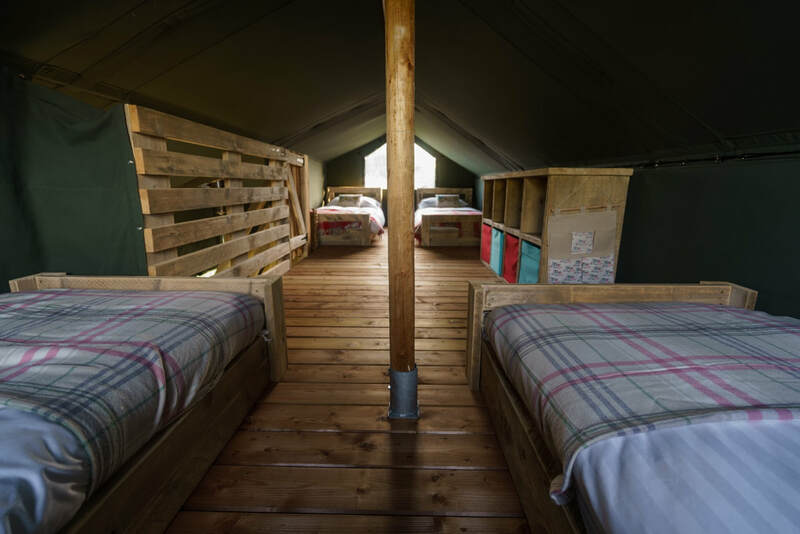 Sleeping 8, this beautiful ‘one of a kind tent’ is perfect for two families or inviting extra guests, the children can sleep and play upstairs, while parents and/or grandparents can relax downstairs. 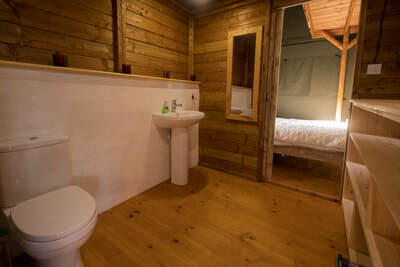 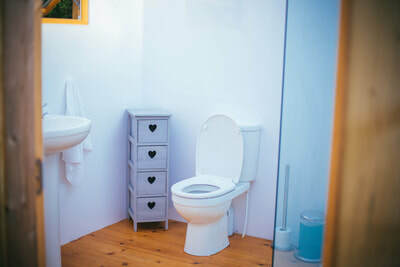 With an extra toilet and private shower, groups enjoy the extra amenities on offer. 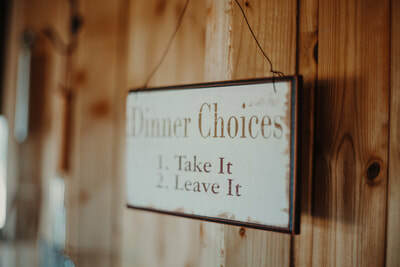 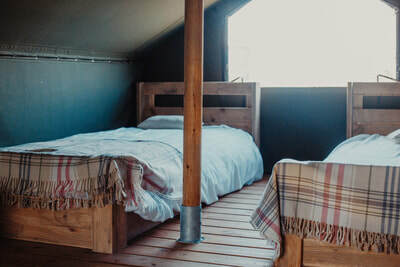 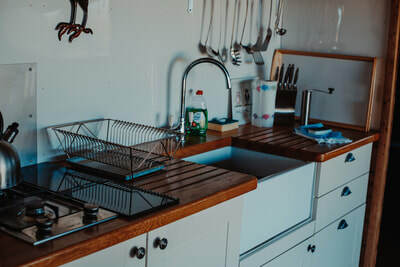 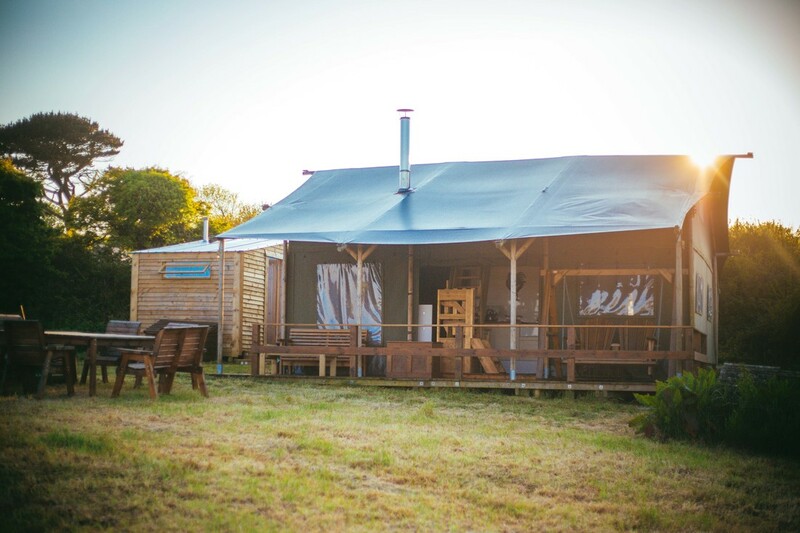 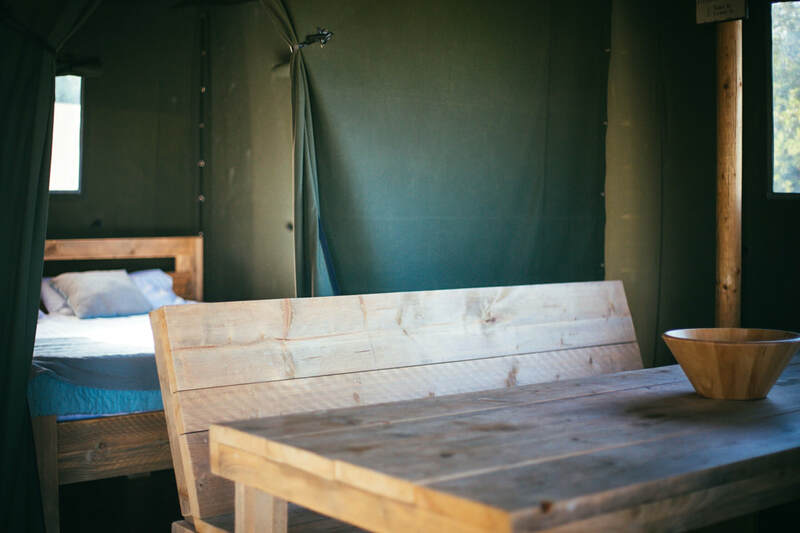 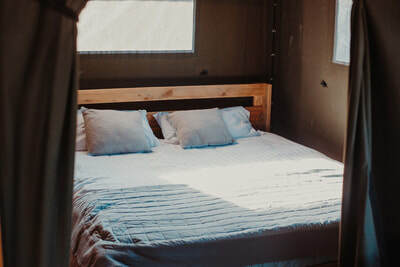 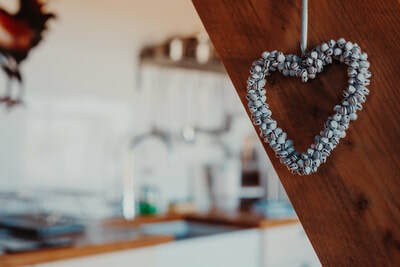 The solar lighting offers a brighter light and hot water is available throughout the tent, create amazing meals on the wood burning or al fresco on the bbq.